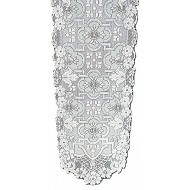 Filigree 14x90 white table runner. 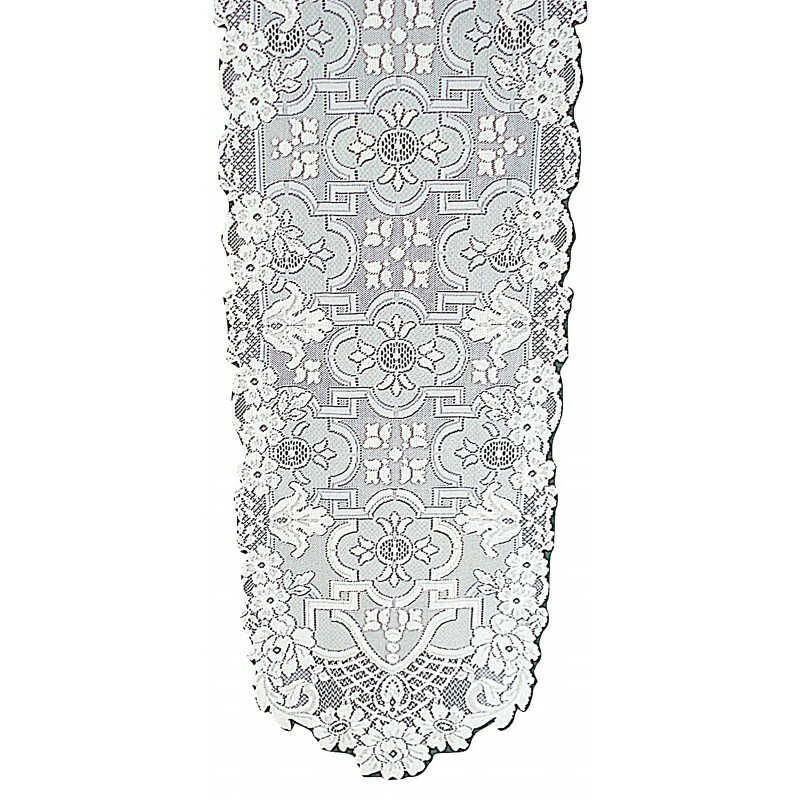 Bring elegance mixed with a touch of the Mediterranean flair accented with the floral motif to your home décor. Edges are ornate with scallops and flowers. This pattern has a slight raised and sheen effect. 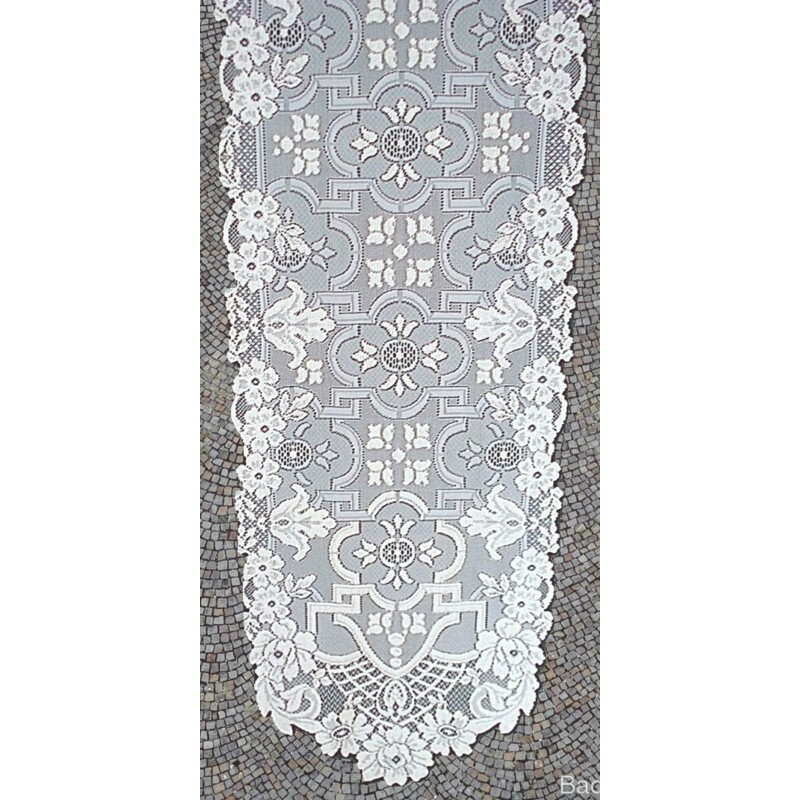 Is suitable for any style of décor. 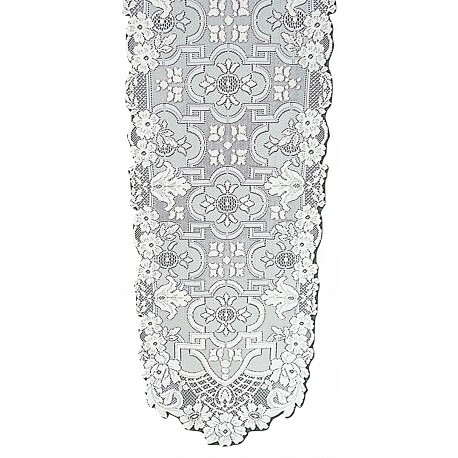 Excellent runner for wedding decor.